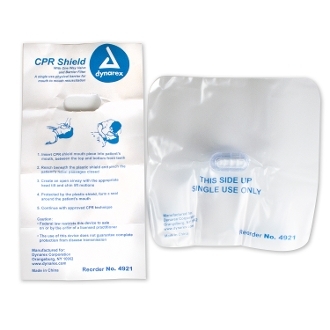 Convenient to carry single-use CPR barrier. Offering protection to both rescuer and victim when used by CPR trained rescuers. Ideal for carrying every day, for inclusion with corporate CPR training courses, and in first aid kits. This item requires traning to use properly. Please sign up for a CPR class at your local school or Red Cross.